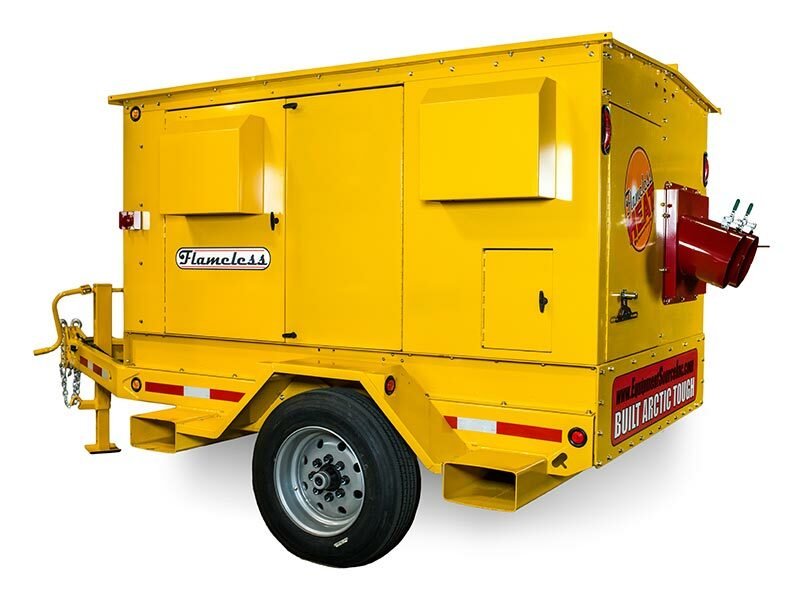 ES-FLS Flameless Heater | Equipment Source Inc. 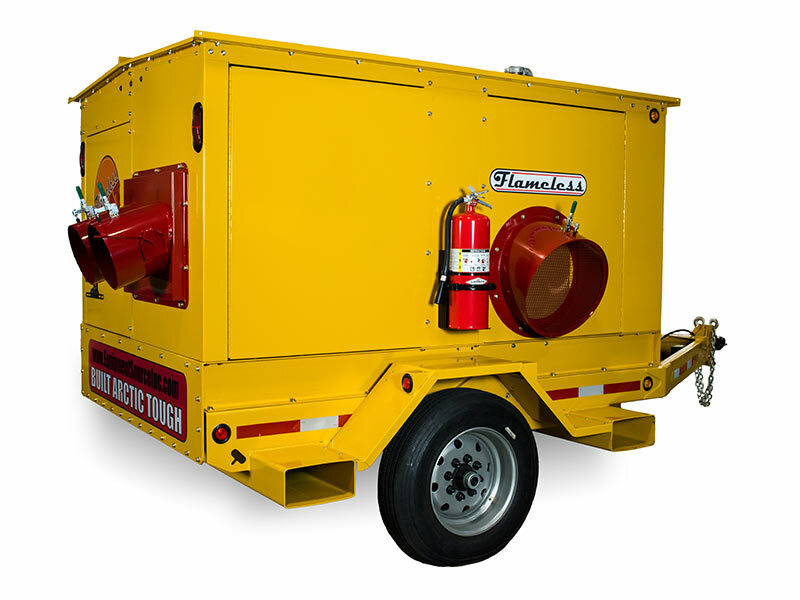 The ES-FLS Flameless Heater by ESI safely and efficiently converts all available energy from diesel fuel into 690,000 BTUs of clean, dry heat without any combustion source in the airstream. 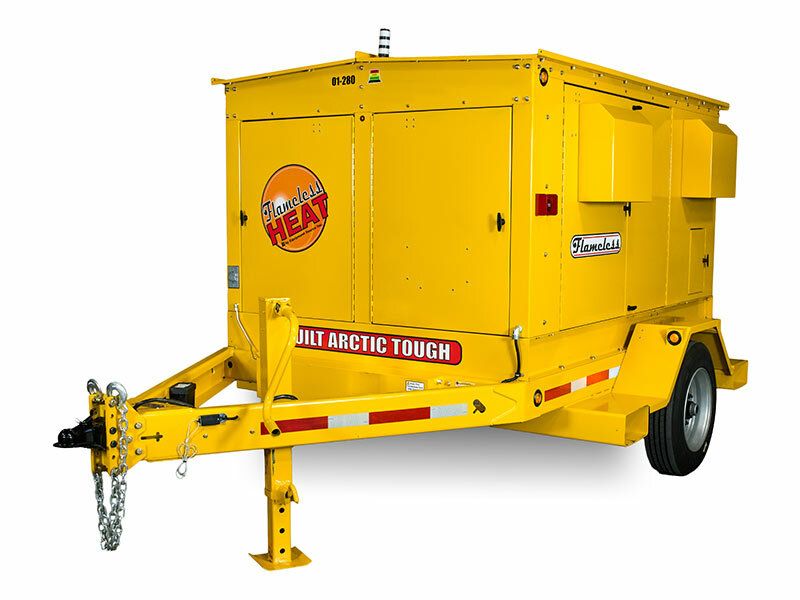 The flameless heater is capable of heating any jobsite effectively with minimal interruptions. 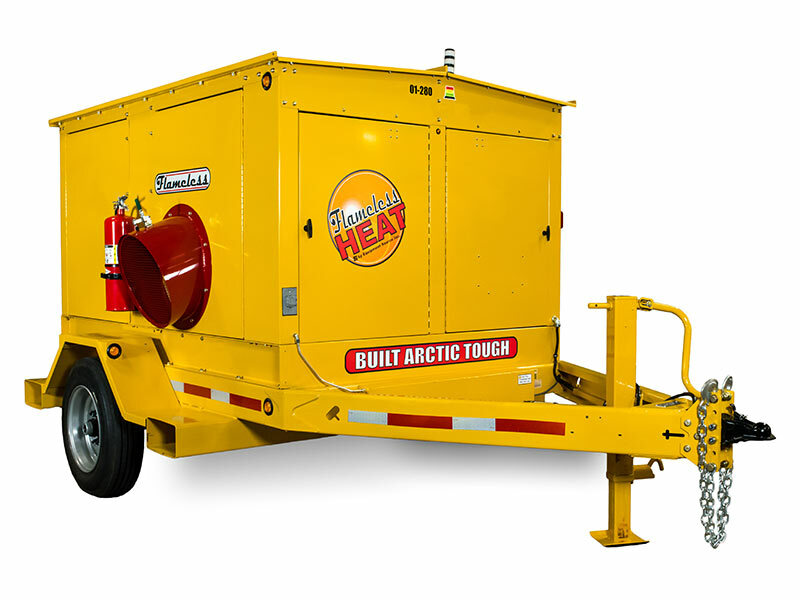 Running at maximum output, it produces a 195-degree temperature rise, at an airflow of 3200 CFM, for at least 30 continuous hours between refuels. 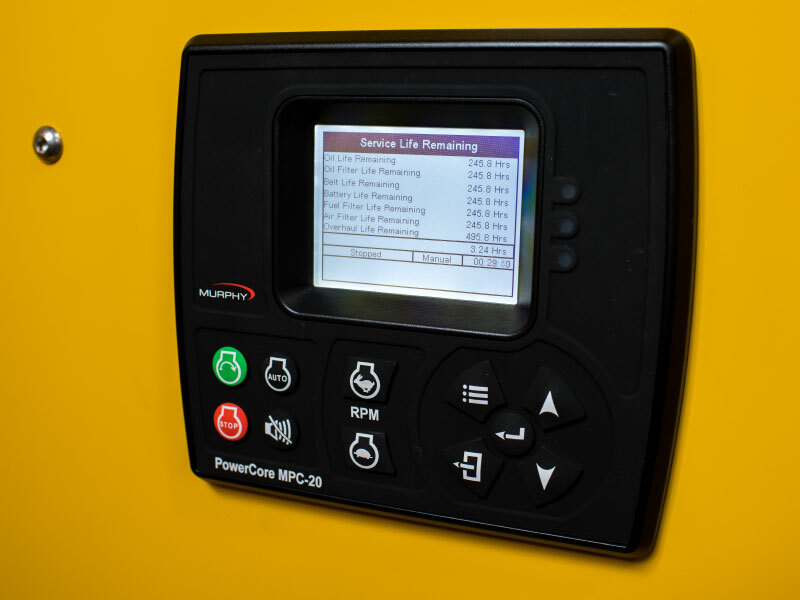 And it's designed for long run service intervals to minimize downtime for maintenance. Flame and ignition related hazards are eliminated by utilizing a heat generator unit, rather than a burner, as the primary heat source. 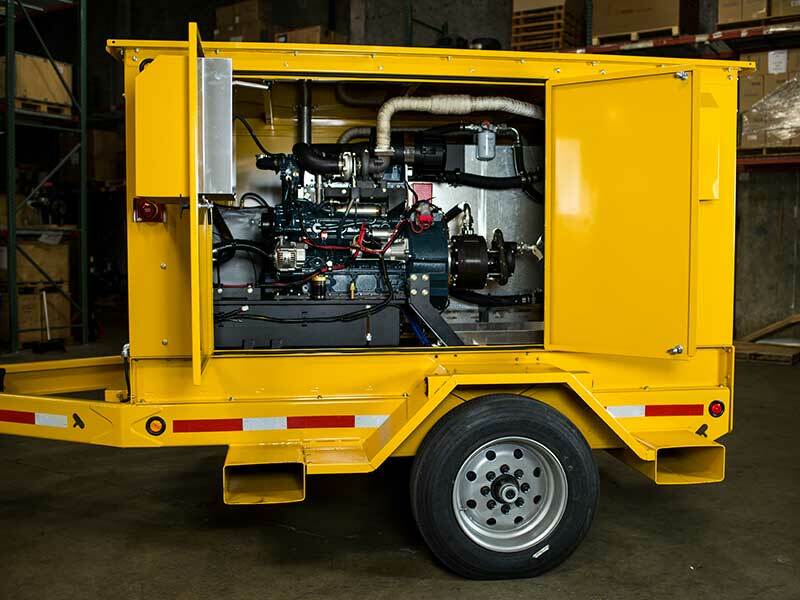 While the Kubota engine is driving the heat generator, its thermal energy is captured at the radiator and exhaust then recycled through heat exchangers to further raise the temperature of the airflow. 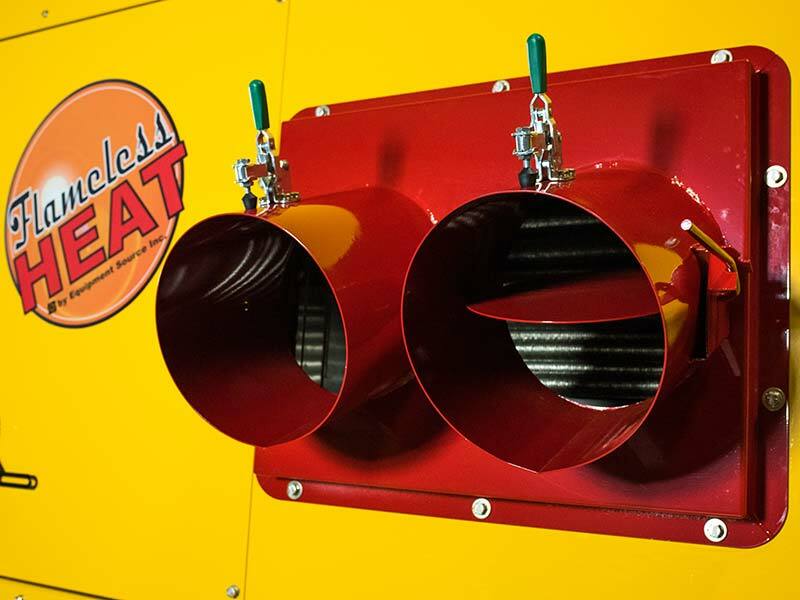 Like all ESI heaters, the ES-FLS is engineered to operate reliably in the severest winter conditions. 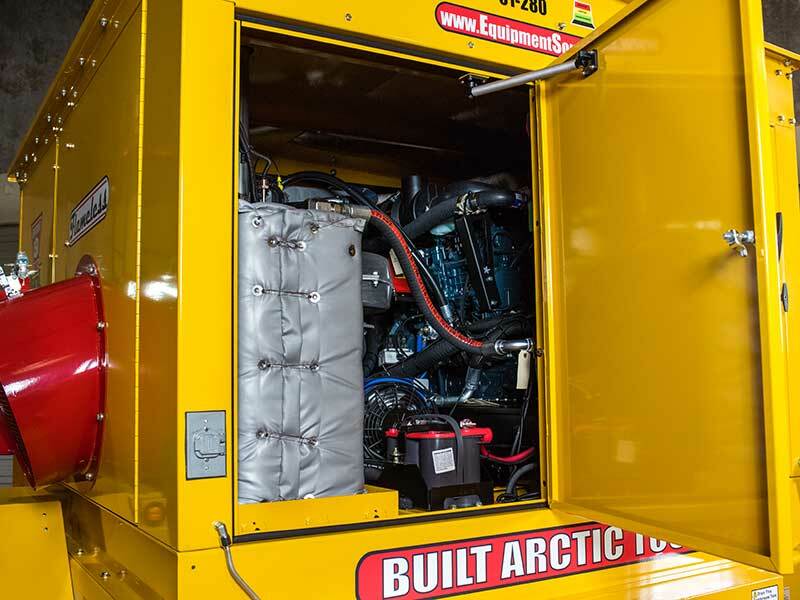 It continues to run long after others have quit due to our innovative cabinet design which keeps the engine warm enough to run at optimal performance levels. 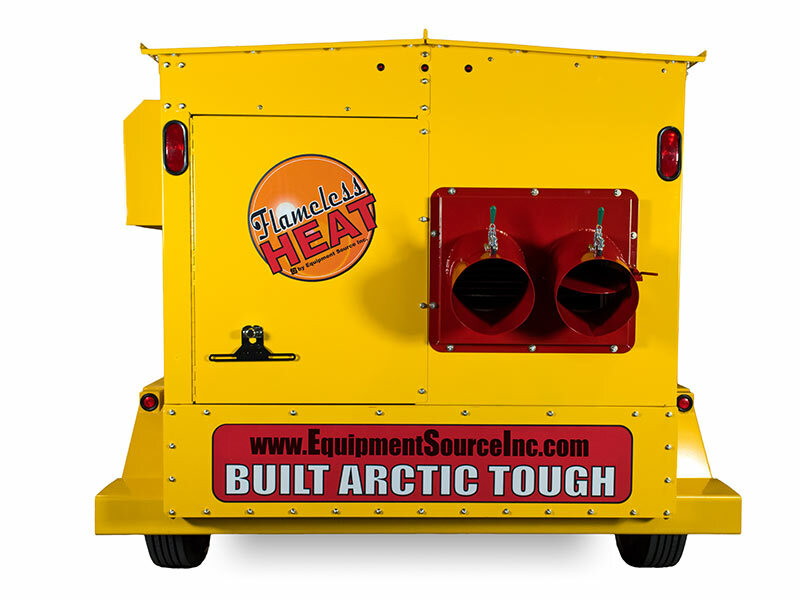 It's also Built Arctic Tough to be exceptionally durable and weather resistant using quality industrial components by top manufacturers including Parker, Siemens, Stauff, and Spal. 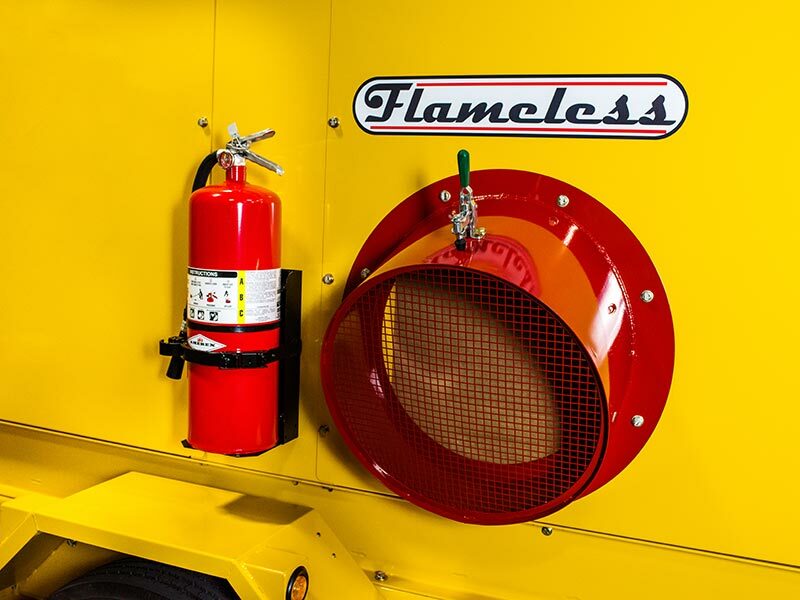 For the ultimate in flameless performance, ease of operation, and quality craftsmanship, look no further than the ES-FLS Flameless Heater by ESI.